This is for the people that have zero space on their countertops. 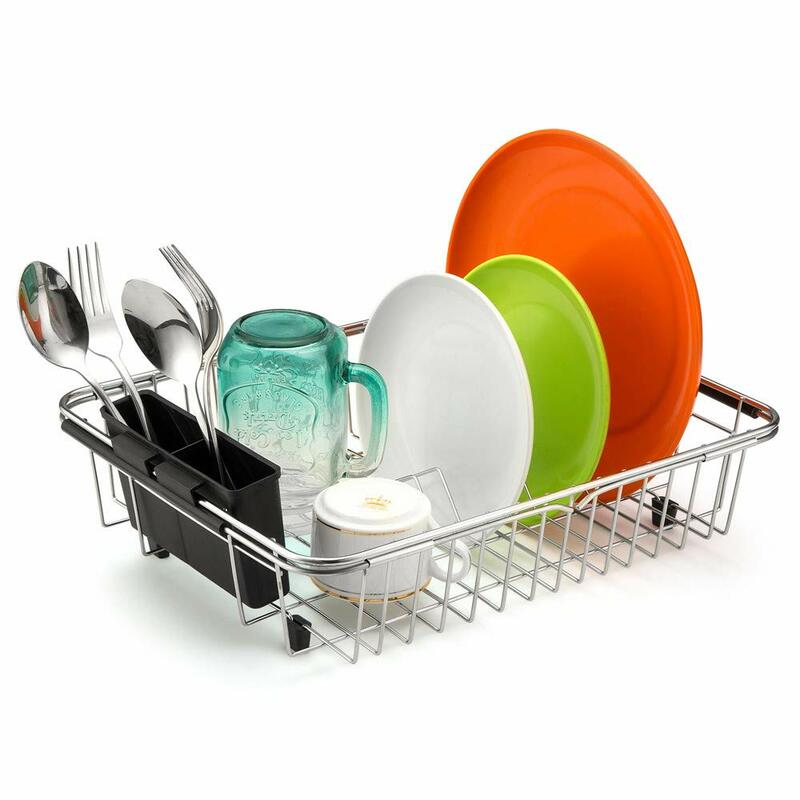 You can easily roll out this impromptu drying rack whenever you need it. It’s made of a grey colored, silicone-coated steel that is food safe. 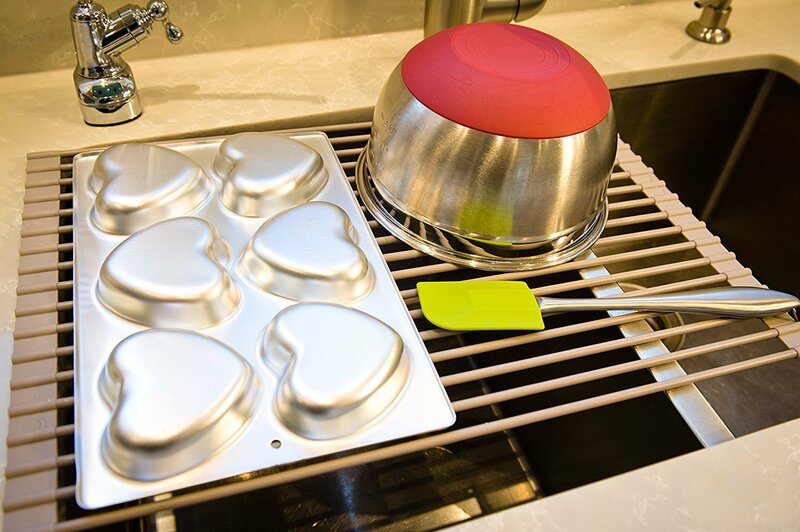 With its heat resistance up to 400°F (204°C), this roll-up rack doubles as a trivet to put your hot pans on whenever you need to. 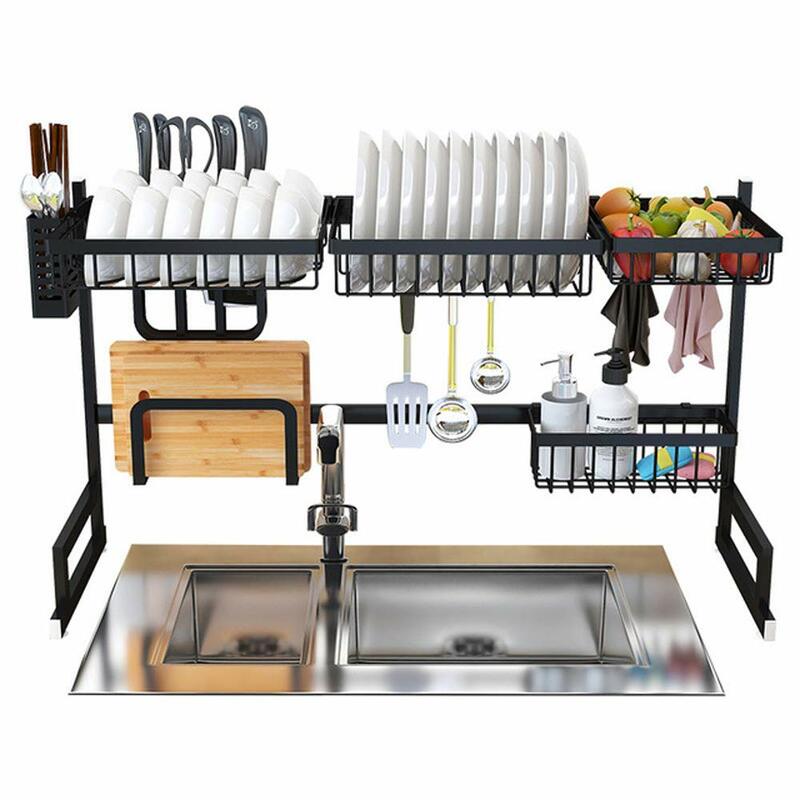 If you have a little bit of money to spare, this over the sink drying rack is the best alternative to a dishwasher. 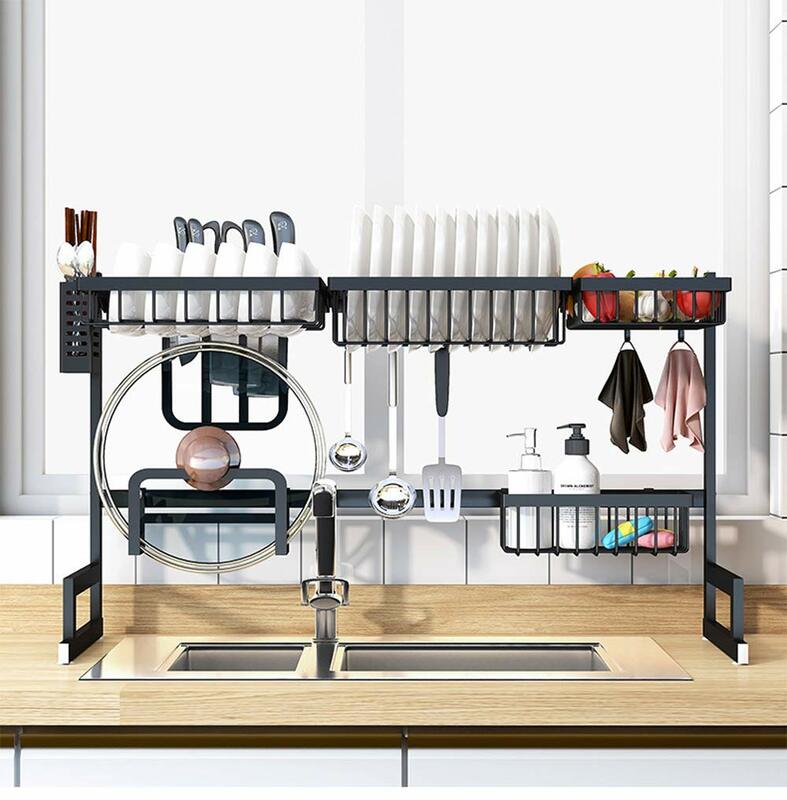 You’ll get a full-fledged storage shelf that holds a cutting board, plates, bowls, knives, utensils and also has a basket for fruit and vegetables or kitchen soap.